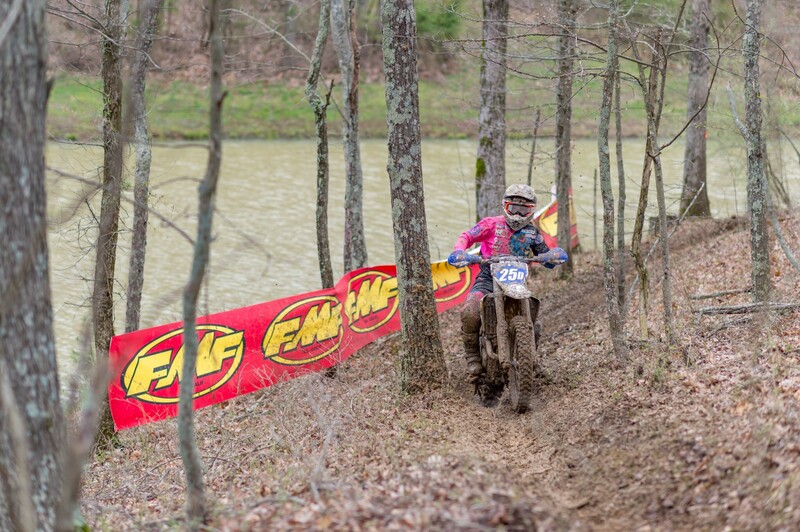 KR4 Performance is an elite off-road race team competing in GNCC, NEPG, and FGSE. Here, we take in-depth look at what goes into building their off-road race bikes, and how you could even race one too. Off-road motorcycle racing is one of the most grueling sports in the world. Not only are off-road racers pushing their bodies to the maximum physical limits, but they must also maintain mental focus. Riding at breakneck speeds while dodging trees and keeping the competition behind has a way of testing every fiber of the human mind, body and spirit. Competitiveness and intensity of off-road racing has evolved due in part to dedicated athletes and factory-level machines. Thanks to strict training regiments, dietary restrictions, and advancements in motorcycle technologies, the sport has experienced a renaissance as of late. Be it rocks, ruts, roots, dry lakes or mud, riders are going faster and able to keep pace for longer periods of time. That’s due in part to the popularity of athletes competing in multi-sport disciplines. With the Grand National Cross Country (GNCC), Full Gas Sprint Enduro, National Enduro, World Off-Road Championship (WORCS), and EnduroCross series to choose from, opportunities are endless. 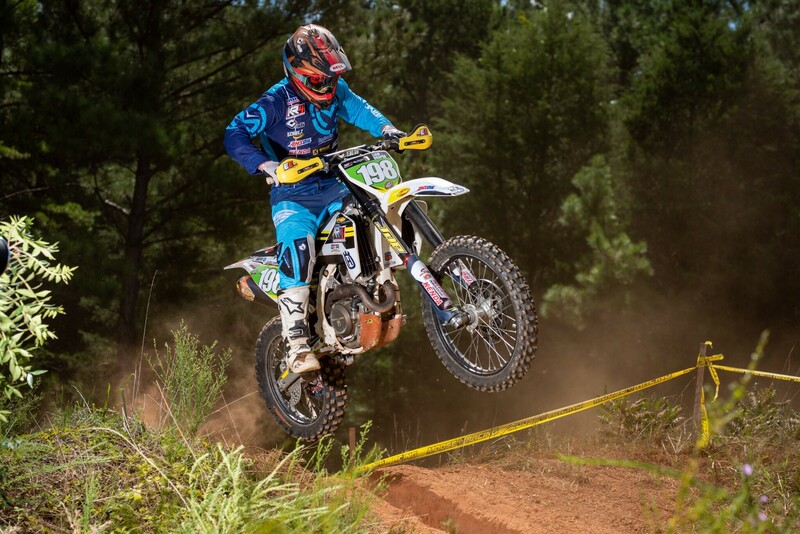 Like most two-wheeled motorsports, achieving success in off-road racing is predicated on a talented rider mated with a well-performing motorcycle. Unfortunately, keeping a dirt bike in proper operating condition throughout a rugged three-hour race, or ten-mile whoop-laden loop, or quarry of boulders is like playing Russian roulette. Sooner or later you’re sure to encounter a bike malfunction. The good news is that you can increase the odds of your steed crossing the finish line by safeguarding it from peril. Off-road racing conditions are not forgiving to bikes. In fact, they're fighting them every step of the way. The KR4 Performance off-road racing team knows a thing or two about building bulletproof motorcycles. 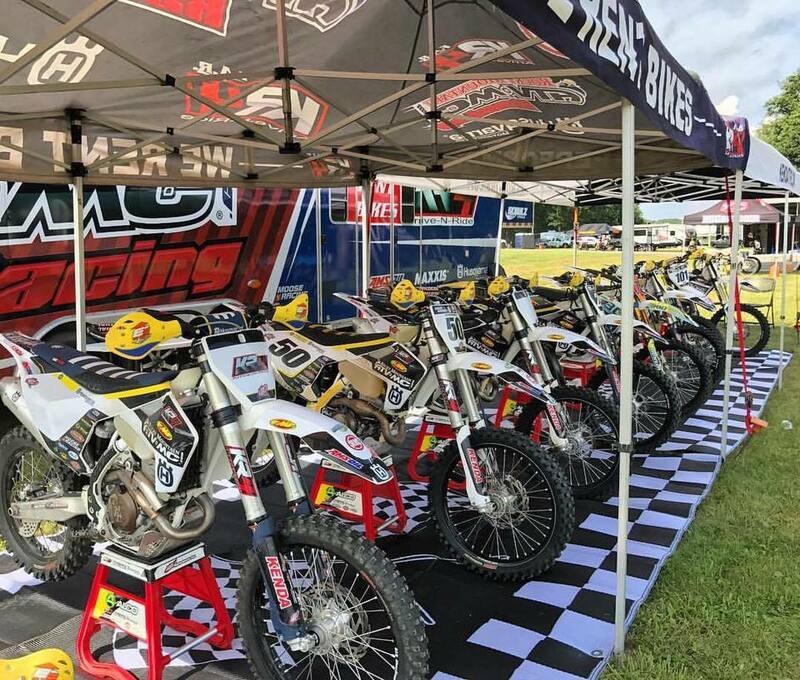 Not only does KR4 Performance support a fleet of top-tier Pros, but they offer a specialized service geared to weekend warriors wanting a taste of off-road racing. Appropriately dubbed Arrive-N-Ride, the program does just that. 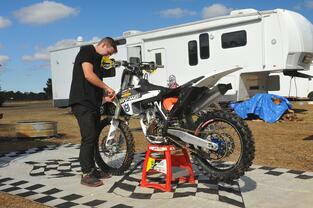 Customers can fly to an off-road race and the team will have a Husqvarna motorcycle ready for them to race on. In working with some of the fastest off-road riders on the planet, as well as with every other skill level imaginable, KR4 Performance has the secrets for dirt bike longevity. Those areas are outlined below. An effective program begins with a solid base package. 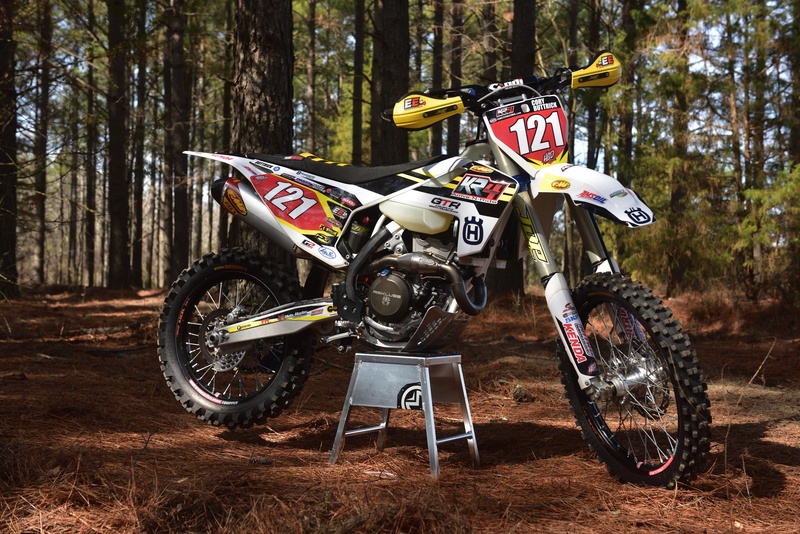 The KR4 Performance team has been using Husqvarna motorcycles for the past four years. The Austrian line of dirt bikes include both two- and four-strokes, which gives the team quite a few options. Regardless of cubic displacement or engine type, the mechanics strip every bike down to its chromoly steel frame. From there, they re-grease the bearings, shock linkage, steering stem, and any other areas where grease is needed. Why? Although these parts receive a helping of grease while going down the assembly line, the amount of grease is usually minimal. That’s why it’s a good idea for every new motorcycle owner to address those areas before hitting the trails. The KR4 Performance crew takes it one step further by applying assembly lube to all of the bolts. KR4 Performance Husqvarnas get stripped down to the frame regularly and have critical joints and bearings cleaned and re-greased. Cleanliness and sufficient lubrication helps achieve longevity for parts. It may be overkill for the garden-variety racer to strip his bike to the frame every weekend; however, it’s not a bad idea to go through your steed with a fine-tooth comb. Invest in an owner’s manual (if you don’t already have one). Not only will it provide general maintenance information and torque specifications, but should also highlight service intervals. Regardless of your riding schedule–be it every other day or every other month–pick up an hour meter. Otherwise, you won’t be able to keep track of the time on your engine. 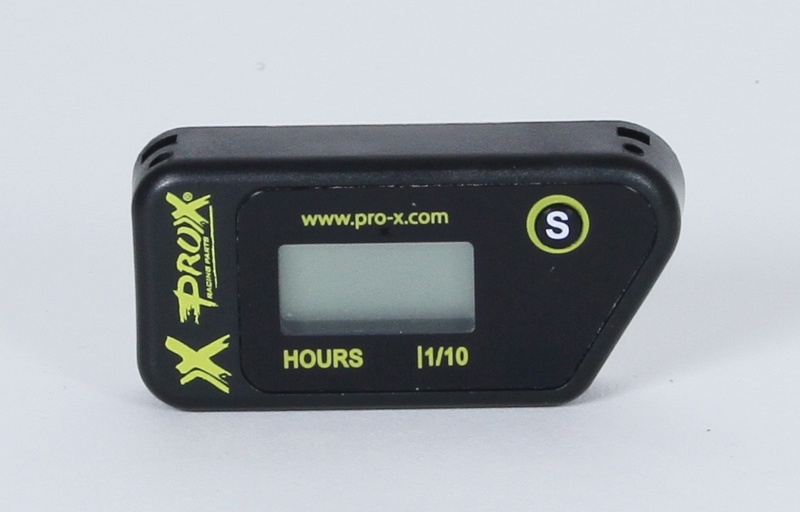 ProX offers three different hour meters, and each is easy to install. In fact, they have a wireless hour meter that senses vibration from the engine. Tracking regular maintenance intervals is a great way to get more out of your machine. Equip it with an hour meter and keep a log book of services performed. 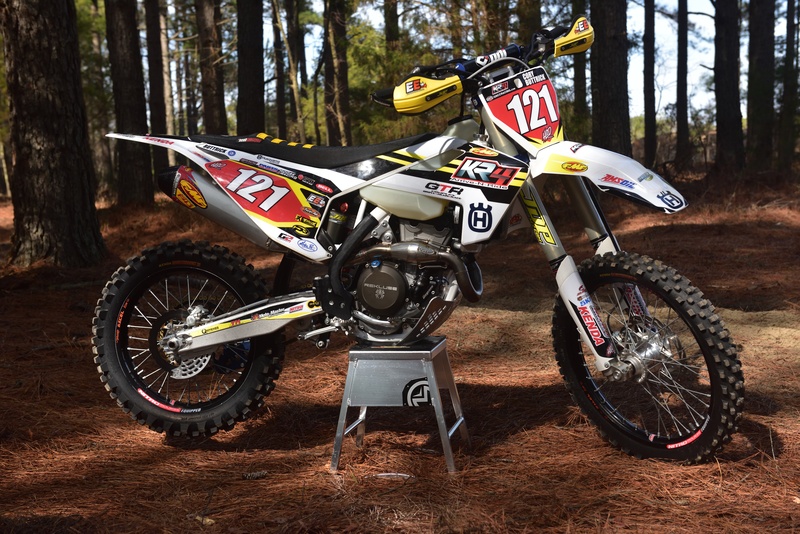 While building their Husqvarna race bikes back up to operating condition, KR4 Performance installs all the aftermarket components provided to them through sponsorships. It must be like Christmas every day the UPS driver shows up to the KR4 Performance shop in Coal Center, Pennsylvania. There’s more information on the specific parts below. Read on. Check out our maintenance tips for two-strokes here, and for four-strokes here! 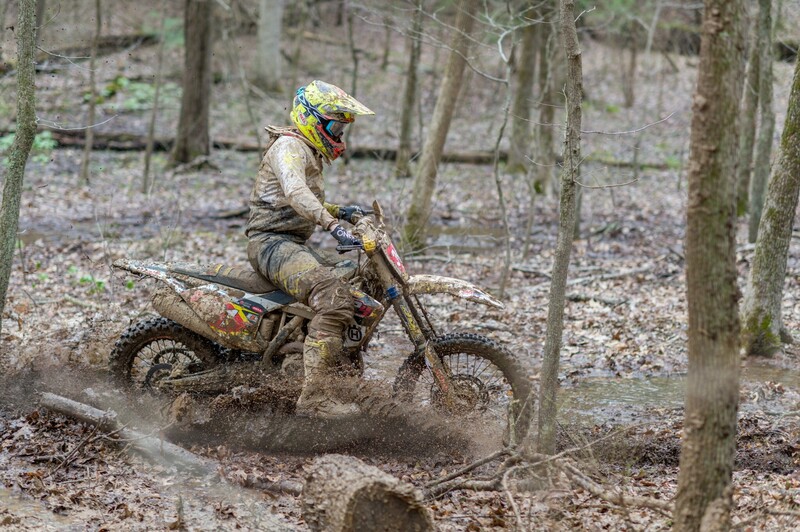 Pro GNCC racers push themselves at race speed through varying conditions for three hours straight. To begin, the team swaps out the OEM/stock 19-inch rear wheel for a smaller 18-inch diameter wheel. The taller tire sidewall affords increased bump absorption and better traction over varied conditions. Garrett Ward, who is Layne Michael’s wrench, installs Nitro mousse tubes instead of the standard tubes. Rated at 12 psi, the foam tubes practically ensure that the GNCC XC-1 Pro won’t get a flat over the course of a three-hour race. Layne puts several rides on the mousse tube before it breaks down and has that race-ready feel he likes. 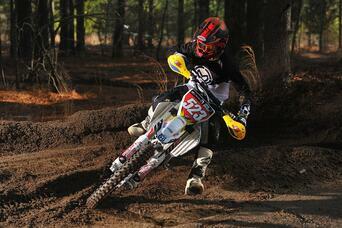 The team uses Kenda tires, opting for the Washougal II Sticky rubber for most conditions. Mounted to the rear hub is a ProX 7075-T6 high grade rear alloy sprocket matched up with a ProX SCM435 Ni-Chrome Molybdenum steel countershaft sprocket. This drivetrain combo provides outstanding wear resistance. Michael prefers a 13/50 sprocket combination for GNCC combat. He gears the Husqvarna down to a 51-tooth rear for the Full Gas Sprint Enduro series, due to the tighter courses and slower speeds. Connecting the drivetrain together is an O-ring chain fitted with a rivet link. The rivet erases the possibility of the circlip being dislodged by a foreign object. KR4 Machines are equipped with steel ProX sprockets and gold X-ring chains for their high resistance to wear. 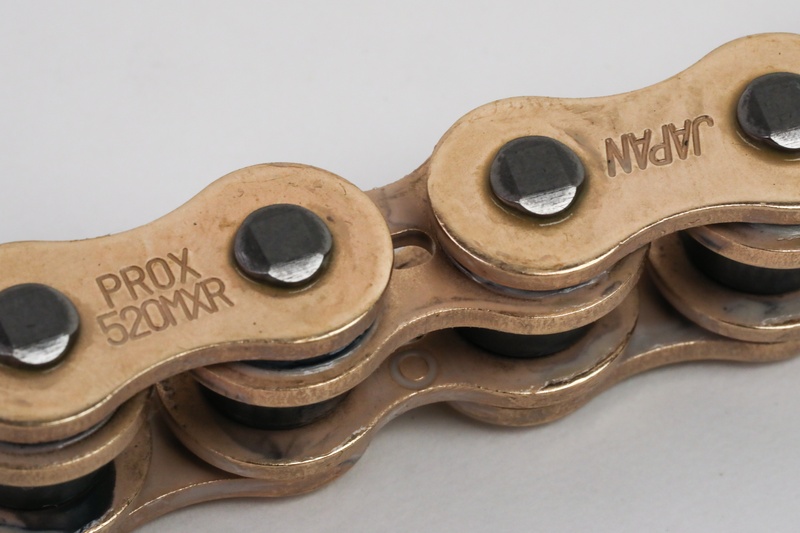 Get all the details on ProX standard and X-ring chains here. Garrett Ward makes sure that Michael’s Husqvarna FC350 is equipped with a brake snake. This is a wise investment for any rider, as roots and rocks have a way of ripping off the rear brake pedal otherwise. In wet conditions Ward will pack foam around the footpegs, shifter, rear brake pedal, and front of the skid plate. The lightweight foam prevents mud from gathering around those key areas. 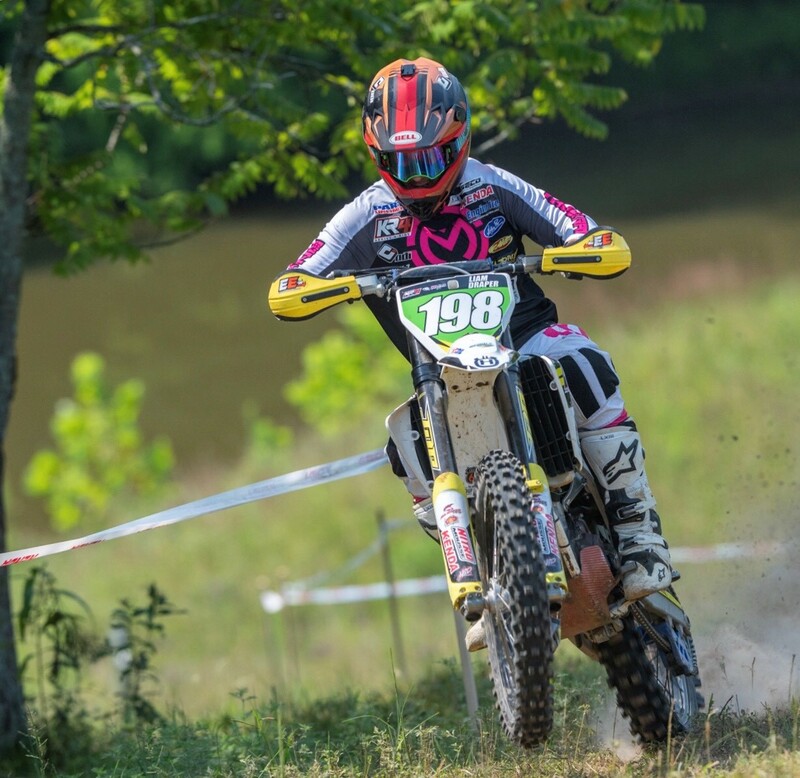 As Colin Keegan mentioned, GNCC races are a three-hour sprint to the finish. There isn’t a break at halftime. Of course, a standard size gas tank would prevent racers from going extreme distances before needing to stop and fill up. The KR4 Performance team outfits Layne’s bike with a large capacity, 3.2 gallon IMS fuel tank. Equipped with a dry break receiver (also known as a “quick fill”), Ward can fill up the tank in under seven seconds. That level of efficiency makes all of the difference when trying to win the race. The team switches back to the standard size fuel tank in the Full Gas and National Enduro series. A standard 'FX' model fuel tank is sufficient for FGSE and NEPG events, but it gets swapped out for a 3.5 gallon IMS dry brake tank for GNCC events. When it comes time to replacing the wheel, steering and shock bearings, KR4 Performance relies on ProX. 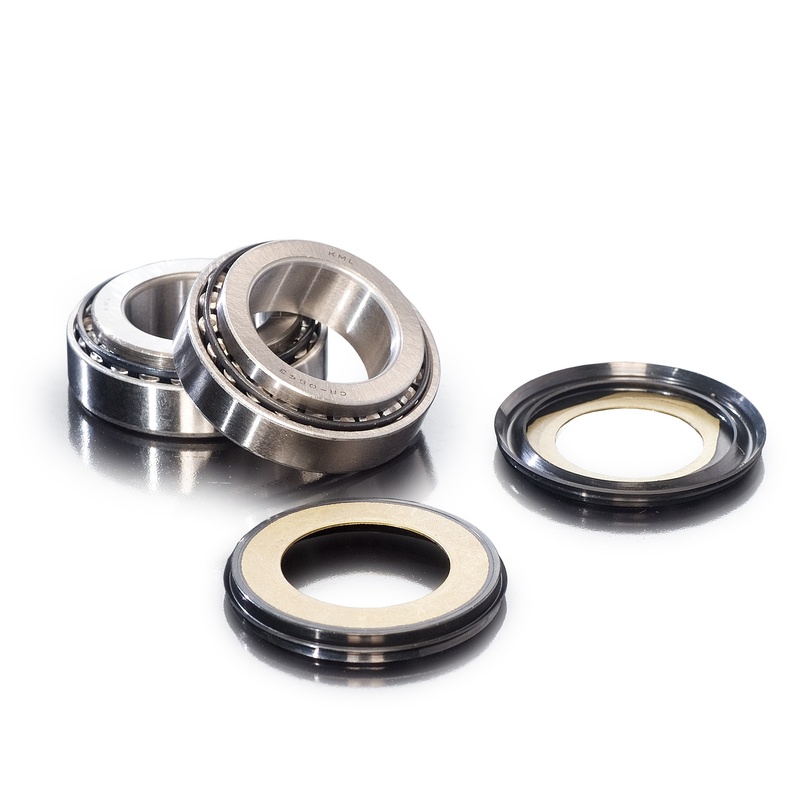 These bearing kits are ready to roll (no pun intended) right out of the box. If that’s not enough, ProX has the ultimate test rider in Layne Michael. Ranked #18 in Dirt Bike Magazine’s “America’s Top Off-Road Racers” list, Layne knows what it takes to get the job done on the trail. One of the requirements is that his mechanic snugs down the steering stem nut to reduce any loose front-end feeling. This amount of pressure would destroy most steering stem bearings on the market. However, according to the team, the ProX bearings are up to the challenge. 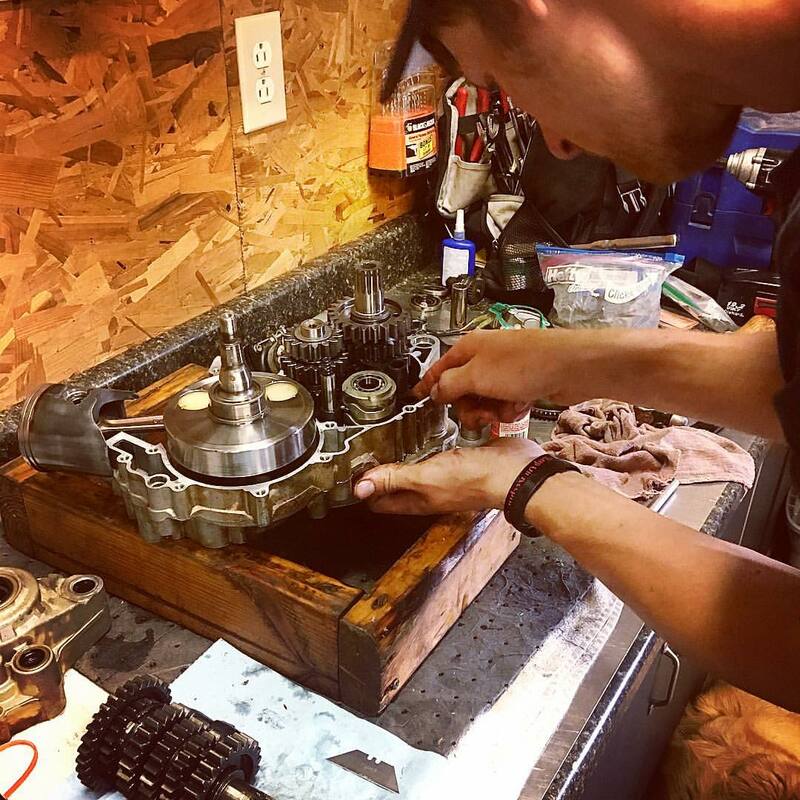 Layne Michael prefers a setup that's typically very hard on steering bearings, but the KR4 team feels ProX steering bearings are up for the task. Find ProX parts for your machine here. The word “guard” is synonymous with off-road racing. Aftermarket companies make everything from handguards to rotor guards, caliper guards, exhaust pipe guards, linkage guards and anything else you can think of. The KR4 Performance team uses rotor guards front and rear, along with handguards. Off-road riders have a choice between wrap-around bark-busters, which can handle the brunt of knocking down small saplings, or moto-style guards that are less cumbersome and offer minimal protection. Michael opts for the plastic guards, while the KR4 Performance Arrive-N-Ride bikes are equipped with bark-busters for added safety. Regardless of preference, we strongly suggest you have some sort of paw protection. Protection isn't just a necessity for the rider in off-road racing. KR4 Husqvarnas receive additional protection for brake rotors, engine cases, and rider controls, to name a few. Regardless of whether you’re in a Top Fuel dragster or on an 85cc two-stroke, power is a prerequisite for success. The KR4 Performance team relies on ProX for their engine needs. 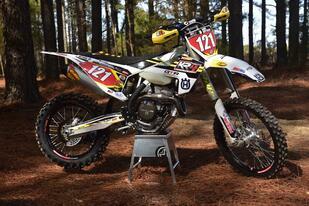 Layne Michael’s FC350 uses a ProX piston, cam chain, top-end gasket kit, and oil filter. Power passes through the engine and to the rear wheel thanks in part to ProX friction and drive clutch plates and clutch springs. A FMF Factory 4.1 stainless steel exhaust completes the internal combustion process by carrying gases out of the engine. The team services Michael’s powerplant after every race, whether it’s checking the valves, replacing the oil, or myriad other necessary tasks. A ProX Racing Parts top end powers the KR4 race bikes, including pistons, cam chains, and gaskets. Additionally, ProX clutch components are utlized to ensure performance and reliability are maintained under the additional stresses of racing. 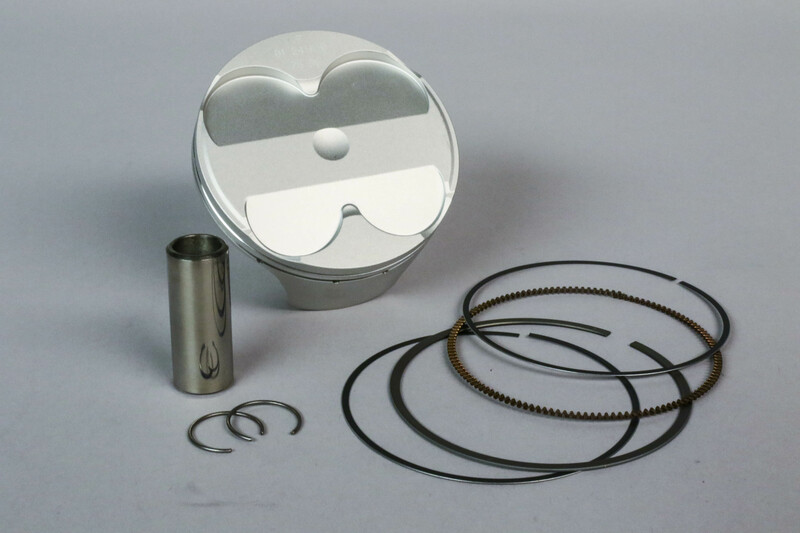 Check out our guide to four-stroke piston replacement here. Layne Michael also receives the royal treatment when it comes to suspension components. 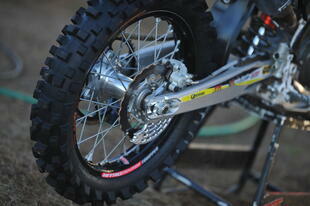 He uses the factory WP Cone Valve forks and Trax shock. This system has all of the bells and whistles to help Michael blast through whooped-out ruts without thinking twice. He likes to know how his suspension will react in every situation. According to his mechanic, Garrett Ward, “Layne wants the forks to be plush for the most part, but with good bottoming resistance when he hits something that puts a major load on the suspension.” Those are the settings that every off-road rider should strive for when setting up their suspension. In addition to Layne Michael, Liam Draper sometimes runs WP Cone Valve forks and a Trax shock as well, dream suspension for just about any rider. You can get a first-hand look at the attention to detail that the KR4 Performance team pours into their race bikes by signing up for the Arrive-N-Ride program. Not only will you experience the thrill of off-road racing, but you will get the factory racer treatment. Enjoy an opportunity that riders from over 30 different countries have done. As owner Frank Keegan states, “Our program has been developed to support any level skill rider. We’ll handle all of the logistics of racing. A rider can fly in with their gear, and a bike of your choice will be waiting and ready to race on.” With KR4 Performance, the question is not whether their bulletproof off-road motorcycles can make it to the finish line, but whether you have the physical and mental strength to succeed. 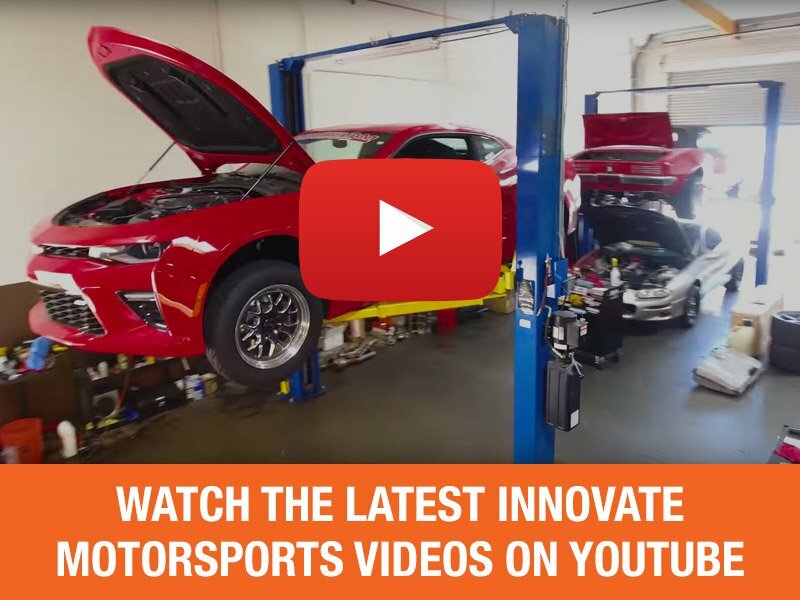 For more information about the KR4 Performance Arrive-N-Ride program, simply fill out the form at www.kr4performance.com. 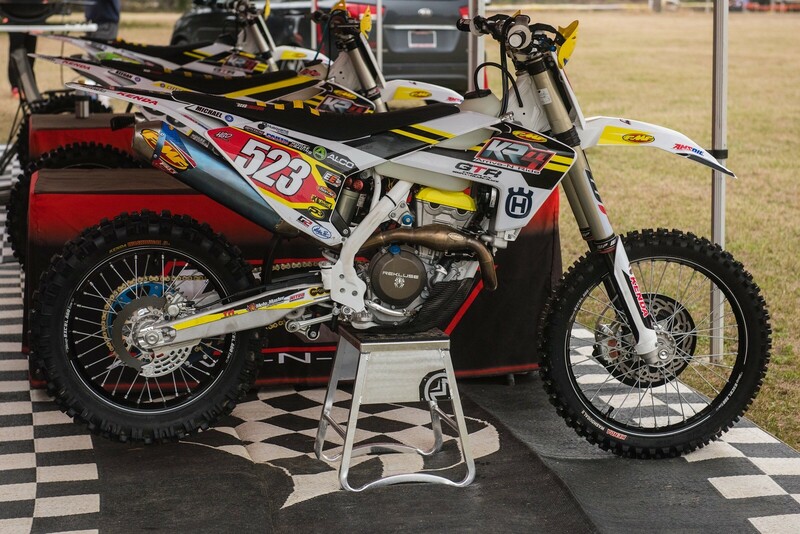 KR4's unique Arrive-N-Ride program allows riders to travel to a race with their gear and have a KR4-built, race-level Husqvarna of your choice waiting for you. It's an awesome opportunity for anyone who wants to know what it's like to race from under a top-tier off-road team tent!